Wow...it's September already?! I'm not a big one of rushing time or even from one season to the next, I mean I get excited for certain things like the first sip of a PSL, and the twinkle of a Christmas light (too soon?) but as I get ahem, older I like to savor time a little more. A bunch of rambling just to tell you it's time for another monthly recap of my favorites! This has been one of my...lack for a better word, favorite posts to do time after time. I really enjoy seeing what's out there on the Internet and finding different stories to share with all of you. And with all of that being said...this is probably the biggest round-up I've ever done. 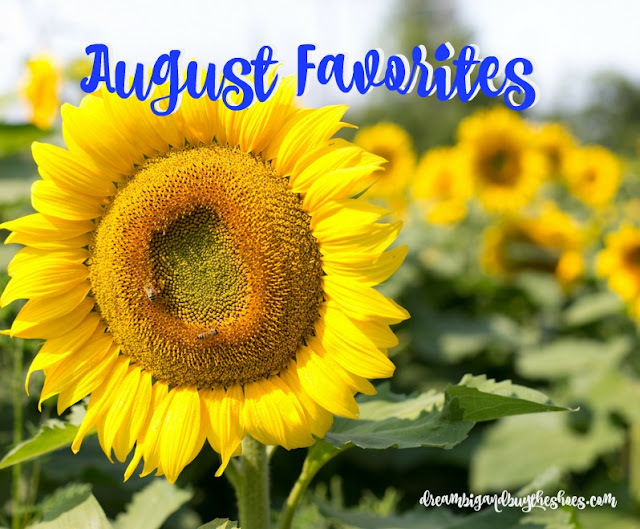 Let's savor the Summer a little more and check out my August favorites- a link up with Macy and I. Favorite App: I was working on a way to really be conscious of my daily water intake and wanted an easy app, and found Water Tracker. I have a few cups I use that are 20 oz. and work best for making sure I get enough daily. Favorite Fashion: I always enjoy Pamela's relaxed and chic looks--she pulls off so many things effortlessly, this casual classic outfit being one of them. Favorite Career Post: Many of us know Amanda from blogging, but it's not her only side project--she manages a full plate. Her post about side hustles being the new normal was so inspiring, especially coming from her and all she does. It reminded me that sometimes blogging can be a lot, but if I keep working hard it can continue to open doors. And sometimes, it's just about making ourselves happy. Whether it's blogging, painting, an Etsy shop or being a health coach...whatever else you have to offer the world outside of your 9-5, you should! Favorite Instagram Post: I follow allll sorts of cupcake places, travel accounts and of course Disney Springs. This picture popped up on my feed one day and I couldn't stop laughing. This cutie, the Cupcake ATM, and allll that sass! I love it! Favorite Blogging Post: Do I even need to tell you at this point how much I enjoy Dana's posts? She kills it with another one on her thoughts of the growing blogging industry, it's a must read for all us who show up to share our lives and thoughts online. The blogging world--it's over-saturated, but damn if it's not totally worth it. You'll enjoy this one blogger friends! 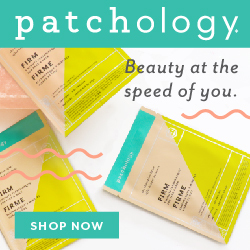 Favorite Awareness Post: Kristin is wonderful in spreading awareness about chronic illness and shares her beauty must have items that help streamline a routine if you are someone who lives with this too. Some of the items on her list you can find in my bathroom too, so I know they are great for saving time! Favorite Moment: We went to Pittsburgh for a family reunion on Chuck's side and got to enjoy lots of family time with my in-laws from North Carolina. Pittsburgh has a special place in my heart, so Pirates games, boat rides and all the fun stuff that comes with the city is awesome to enjoy time and time again. It was a fun weekend! Favorite Read: A great article about self respect and how it relates to changes in your life-- like changing your mind and not feeling bad, being creative and so many more good points. Favorite Advice: I think a lot of us get in rut's from time to time...what to post, what to do to inspire others, etc...Katey wrote a lot of great ideas on how to get out of a creative rut. My favorite take away was to hone in on what the rut is telling you. Favorite DIY: Remember the thoughts I shared from the bathtub? Turns out I really enjoy baths more these days. Actually, Chuck just asked me today what the first thing I'll do when I get home is. This may be it...take a bath and lay in our heavenly bed. Anyways, Kenzie shared this beautiful DIY for Floral Bath Salts and I'm totally doing this in the Winter. Favorite Travel Post: Okay, okay...we all know it, I love Boston. How could you not?! This about sums up my love with the best places to watch a sunset in the city. Sky pics and one of my favorite places--YES Alyssa- 2 months in a row I've shared her posts in this category...sorry, not sorry! Favorite Baby/ Littles Post: I've followed Tara on Instagram for years and always loved her style, but oh my goodness if little Livvy, her daughter is not the cutest thing alive! 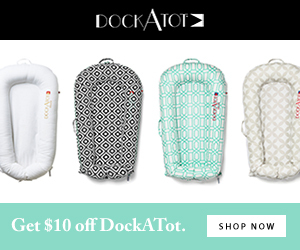 She always looks adorable and has such a fun style of her own thanks to her Mama, and Tara shared her favorite places to shop for littles--you'll be adding items to your cart so fast. Favorite Tip: I shared last week how I save time grocery shopping--it's seriously a life saver. The few places I don't mind walking around are Wegman's because of the flowers and macarons ;) and Aldi's for the great deals. Here's 8 Aldi shopping secrets to help you plan your next trip. If you made it through all of that...WOO-HOO and high five to you! I hope you found some links and reads you enjoyed this month. I am trying to get back to a normal M-W-F posting schedule, but I won't be here tomorrow due to this post today...but here's to some regular scheduling coming soon! What was one of your favorite parts of August? Or share a post of yours with me in the comments! 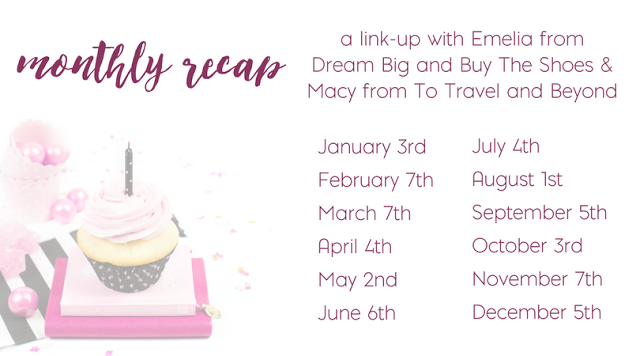 Link up with Macy and I for our monthly recap every month, we would love to have you!